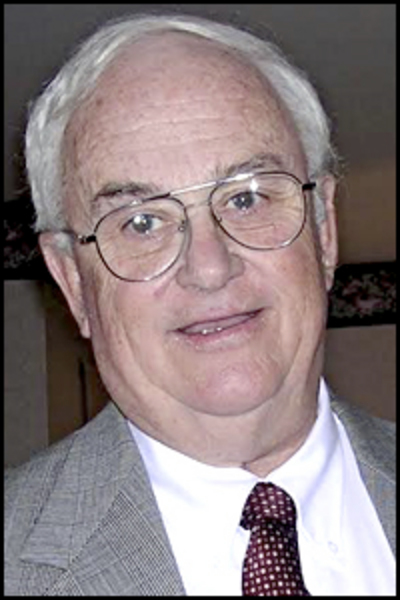 Charles John “Chick,” “Charlie,” O’Leary Jr.
ORONO – Charles John “Chick,” “Charlie,” O’Leary Jr., 76, retired past President of the Maine AFL-CIO, passed away from lung cancer at his home in Orono on Jan. 3, 2014. He was born Jan. 25, 1937, in Bangor, the son of Charles J. O’Leary and Doris Foley O’Leary. Charlie grew up in Bangor and graduated from John Bapst High School in 1955; went to sea with the U.S. Merchant Marine; earned a bachelor’s degree and a master’s degree in history and government from the University of Maine; and received a Fulbright grant to study at the American University in Beirut, Lebanon. All his life, Charlie was passionate about social justice and a champion for the underdog. After starting his career as a high school history teacher, he left to join the War on Poverty. He ran worker training programs for former welfare recipients and then spearheaded the Augusta-Gardiner Community Action Program, which included coordinating some of the first Head Start programs in Maine. In 1968, Charlie joined the labor movement, leading a statewide job-training program for the Maine AFL-CIO. In 1972, he became director of the University of Maine Bureau of Labor Education. In 1978, he was elected President of the Maine AFL-CIO, a position he held until his retirement in 1998. In that role, he worked tirelessly for fair wages, health benefits, and safe working conditions for all workers, both union and non-union, and he fought to keep jobs in Maine. Over the years, he was recognized for his leadership and appointed to many Boards and Commissions, including the National Advisory Committee on Continuing Education, appointed by President Jimmy Carter; and the Board of Trustees of the University of Maine, appointed by Governor John Baldacci. In addition to his work, Charlie is perhaps best known for his sense of humor. He believed that humor was a necessary ingredient for life, and he lived by that mantra. Charlie was incredibly witty, always prepared with a comeback or pun and ready to play a prank. There are too many to recount, but a family favorite was the day his wife came home to find him on the front lawn giving an interview to a local television crew about Boston Red Sox star Troy O’Leary, claiming with a straight face that Troy was his cousin. His talent for humor was one of his most endearing aspects, and it often sustained the sanity of his family through turbulent times. Charlie loved spending time with friends and family, and he enjoyed the outdoors in his beloved Maine, from golfing on the Bangor Muni Golf Course to hiking the trails of Acadia National Park to kayaking on the Penobscot River. In recent years, he also enjoyed winters in Myrtle Beach, S.C., where he was a frequent visitor to the many golf courses and to the Meher Spiritual Center, enjoying the quiet of the woods and ocean, and the peace of meditation. Charlie is survived by his wife of 46 years, Pamela Braley O’Leary of Orono, who laughed with him through all the years and kept him smiling to the very end; his daughter, Katie Ouellette and her husband, Ron, of Waterbury, Conn.; his grandchildren, Alicia and Meagan O’Leary, whom he and Pam raised through their childhood; his daughter, Ann O’Leary and her husband, Goodwin Liu, of Oakland, Calif.; and his young grandchildren, Violet and Emmett O’Leary-Liu who delighted in “bear hugs” and silly games with “Grampy.” Also surviving are his sister and her husband, Doris and James Wentworth of Veazie; and his mother-in-law, Arlene Braley. His parents and his sister, Mary “Betty” Beede, predeceased him, as did his niece, Deborah Dalfonso. Many nieces and nephews and their children, whom he loved to laugh and joke with at family gatherings, survive him. He is also survived by his dear friends Dwight and Jan Rideout, Bill and Susan Murphy, Sandy Joy and her son, Joe Paul, all of whom spent countless hours with him in his final months. A memorial service will be held 2 p.m. Wednesday, Jan. 8, at the Unitarian Universalist Society of Bangor, 120 Park St., with a reception immediately following at the Family Reception Center of Brookings-Smith, 163 Center St., Bangor. Those wishing to remember Charlie in a special way, may make contributions in his memory to the University of Maine Foundation, Two Alumni Office, Orono, ME 04473; or to Food AND Medicine, an organization started by laid-off workers and union members to support the basic needs of Maine families, located at Solidarity Center, 20 Ivers St., Brewer, ME. 04412. Condolences to the family may be expressed at www.BrookingsSmith.com.